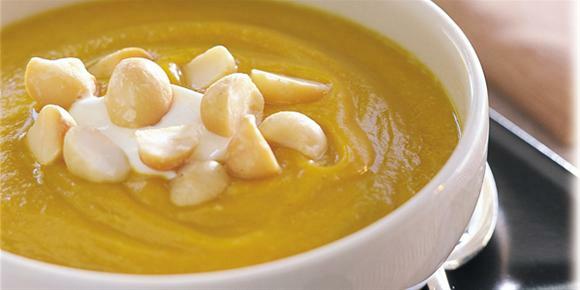 Warm your soul and delight your taste buds with this spicy pumpkin soup recipe! It’s super easy to whip-up if you’re pressed for time and can be frozen in batches to enjoy throughout the week. Cooking for more than one? It’s the ideal family meal that the littlies will love when accompanied with warm, crusty bread. Heat oil in a saucepan over medium-high heat. Add onion and garlic and cook, stirring, for 3 minutes or until onion has softened. Add potato and pumpkin. Cook, stirring occasionally, for 5 minutes or until potato starts to brown. Add chilli and coriander and cook for 1 minute or until fragrant. Add stock. Cover, then bring to the boil. 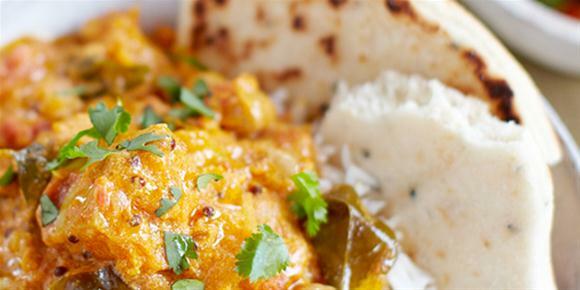 Reduce heat to medium-low and then simmer for 10 to 12 minutes or until potato and pumpkin are tender. Set aside for 2 minutes to cool slightly. Blend in batches until smooth. Return to pan over low heat and stir in cream. Cook for 1 minute or until heated through. Season with pepper. Divide between bowls, top with cream and chives and serve with crusty bread if desired. 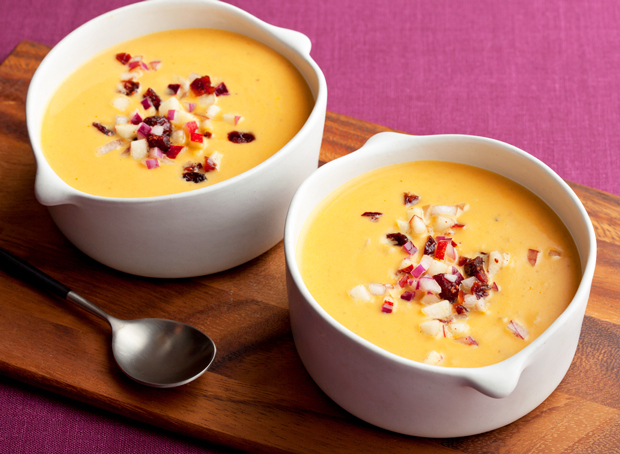 This easy pumpkin soup recipe is low in fat and calories but full of flavour, which makes it the perfect winter warmer when you want to lose weight. 1. Preheat oven to 160C. Slice pumpkins lengthways, scoop out seeds and place pumpkins cut-side down on a baking tray. Roast for about 30 minutes or until a knife pierces through the flesh easily. Remove and allow to cool slightly, then scoop out the flesh into a blender or large bowl. 2. While the pumpkin is cooking, saute the onion and garlic in a small pan in some olive oil over low-medium heat. Cook for about 10 minutes until softened but not browned. 3. Add the softened onion and garlic to the pumpkin, add the stock and blend or use a hand blender to puree until velvety smooth. Season with salt and pepper. Add nutmeg, blend again and taste. 4. Serve immediately, topped with any or all of the optional toppings. 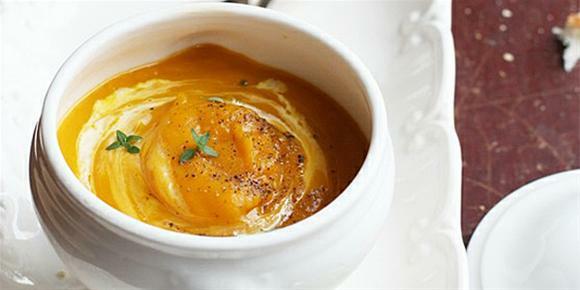 What’s your best pumpkin soup recipe? Tassal Research and Development Manager (and trained chef) Kevin Horgan shares one of his favourite recipes that’s quick and easy to prepare and packs in a lot of nutritional and health benefits – and is amazing for your skin too. Leftovers make a delicious next-day lunch. 1. Pre-heat oven to 200°C. Cut salmon and pumpkin into 3cm cubes. 2. Place pumpkin and garlic on an oven tray, and season with salt and olive oil. Bake for 20-25 mins or until golden brown. Remove and allow to cool. 3. Mix lemon and oil together and set aside. 4. Cook salmon in pan on medium heat and then let cool. 5. 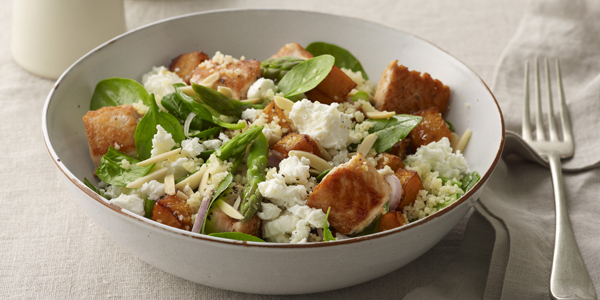 In a bowl, combine spinach, shallot, almonds, feta, garlic, cous cous, asparagus and pumpkin. Toss salmon through salad and coat with the lemon-oil dressing. 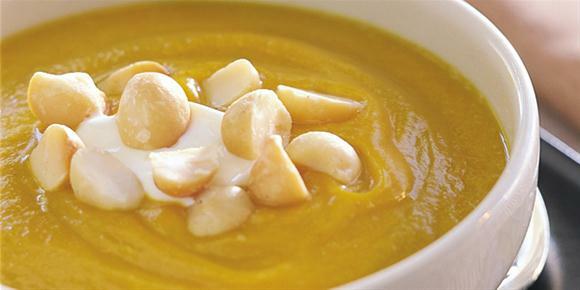 There’s nothing better than a bowl of warm pumpkin soup on a chilly day, and this is one of SheSaid’s favourite recipes, topped with crunchy macadamia nuts! 1 tablespoon Suncoast Gold Australian Macadamia Oil? 1. Heat oil in a heavy-based pan, add macadamias, onion and ginger and sauté for 2-3 minutes, or until golden brown. 2. Add the pumpkin and apple and cook for 2-3 minutes then pour over the stock. Cover and simmer for 20 minutes or until pumpkin is soft. 3. Transfer mixture to a blender and process until smooth and creamy. 4. Serve in large bowls with a swirl of yoghurt and a few roasted macadamias tossed over for garnish. What’s your favourite soup recipe? It’s that time of year when little is more appealing than a hot bowl of pumpkin soup for lunch or dinner. Here’s our never-fail recipe which is a favourite at the SheSaid office! 1. Preheat oven to 175F. Lie the pumpkin halves face down on a baking tray lined with baking paper, and roast for 45 minutes to 1 hour, until soft. Scoop out the flesh. 2. Melt butter in a saucepan and sauté the onions over low heat until lightly golden. Add the curry powder and potatoes and stir for 2 minutes, then add the roasted pumpkin, stock or water. 3. Bring to the boil, then reduce the heat and simmer for 10-15 minutes. 4. Blend the soup in a blender or food processor. Return the pureed soup back to the saucepan. 5. Over low heat, add a little cream and season to taste. Sprinkle with toasted almonds. Serve with wholegrain bread roll. 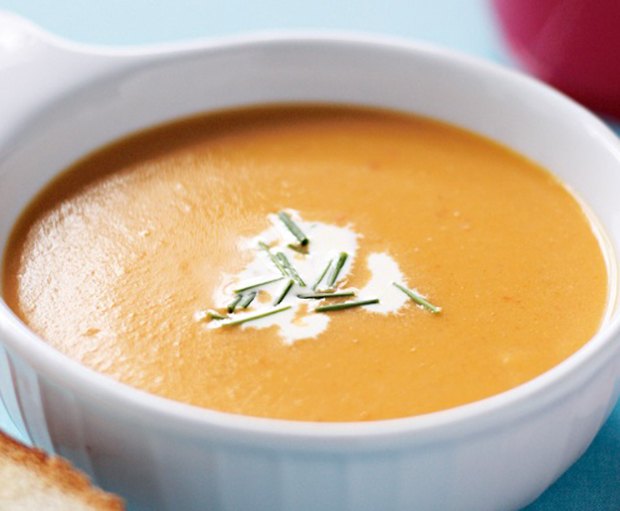 Pumpkin soup is a favourite in the SheSaid office, and this recipe might just be one of the best we’ve seen! Topped with crunchy macadamias, this is the perfect winter warmer for lunch or mid-week dinner. 1. Heat oil in a heavy based pan, add the macadamias, onion and ginger and sauté for 2-3 minutes, or until golden brown. 2. Add the pumpkin and apple and cook 2-3 minutes then pour over the stock. Cover and simmer for 20 minutes or until pumpkin is soft.